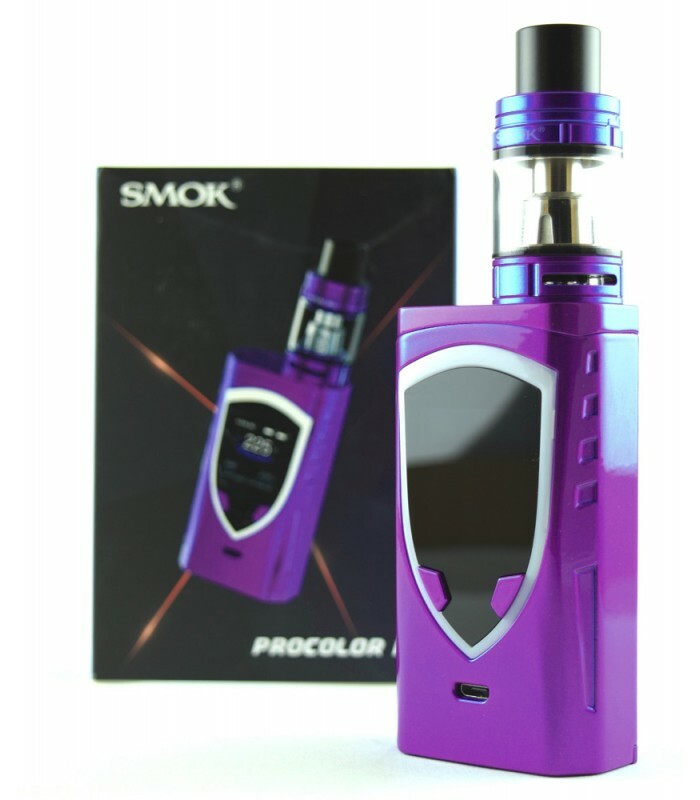 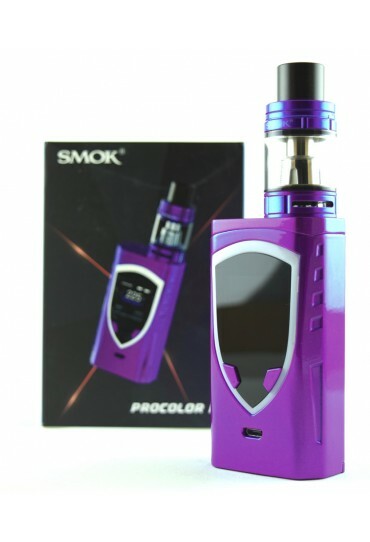 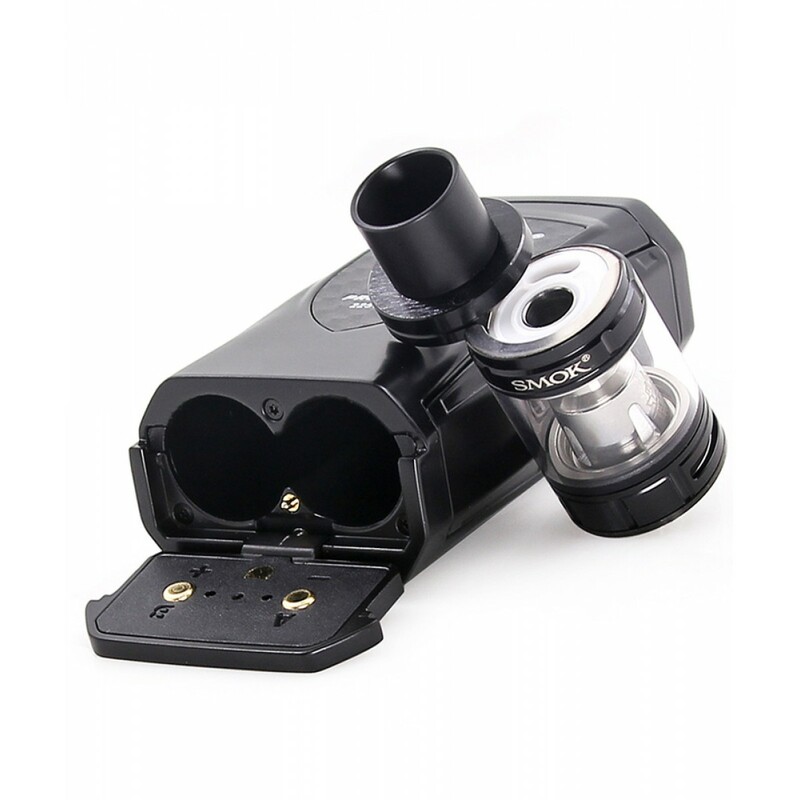 The SMOK ProColor Kit comes with a ProColor TC MOD and a TFV8 Big Baby tank. 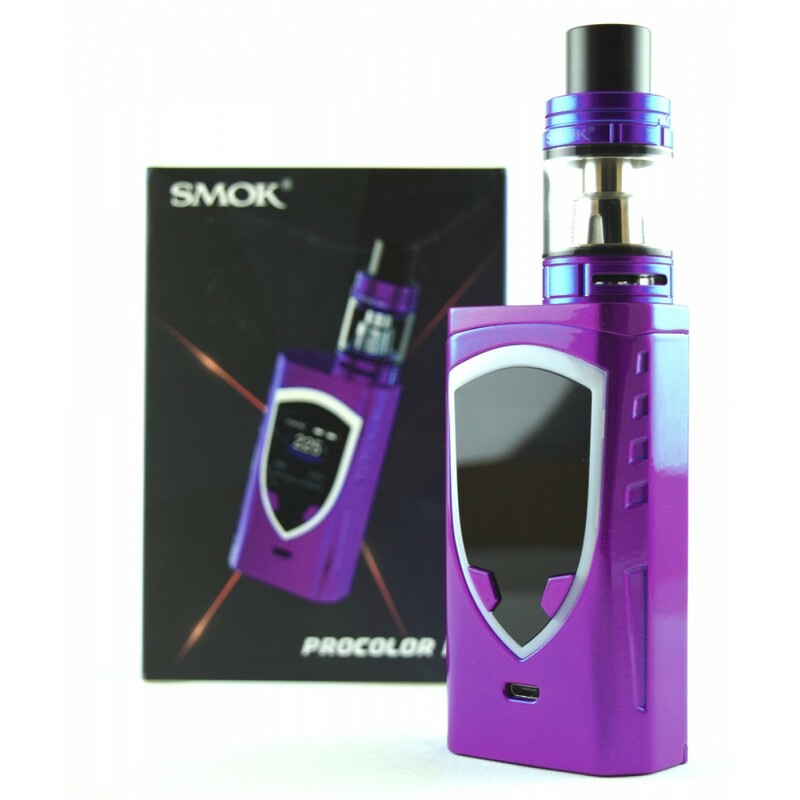 Powered by dual 18650 batteries, the ProColor TC MOD reaches a maximum output power of 225 watts. 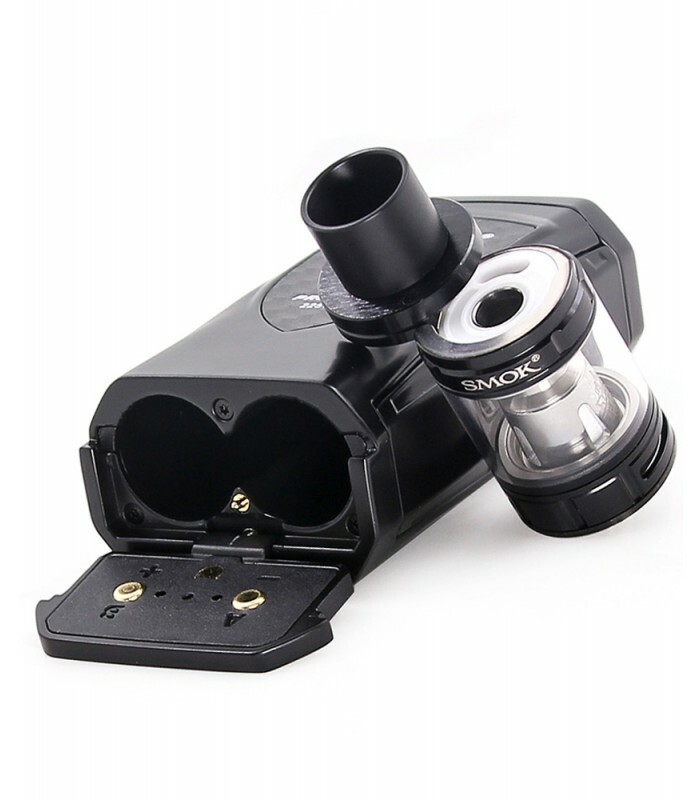 The newly-designed shield-shaped display provides a functional interface for you. 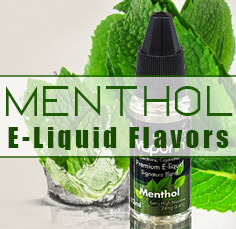 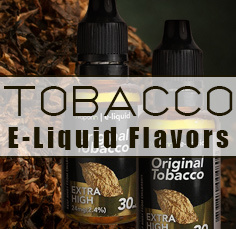 The anti-slide embossed texture offers a comfortable grip when vaping. 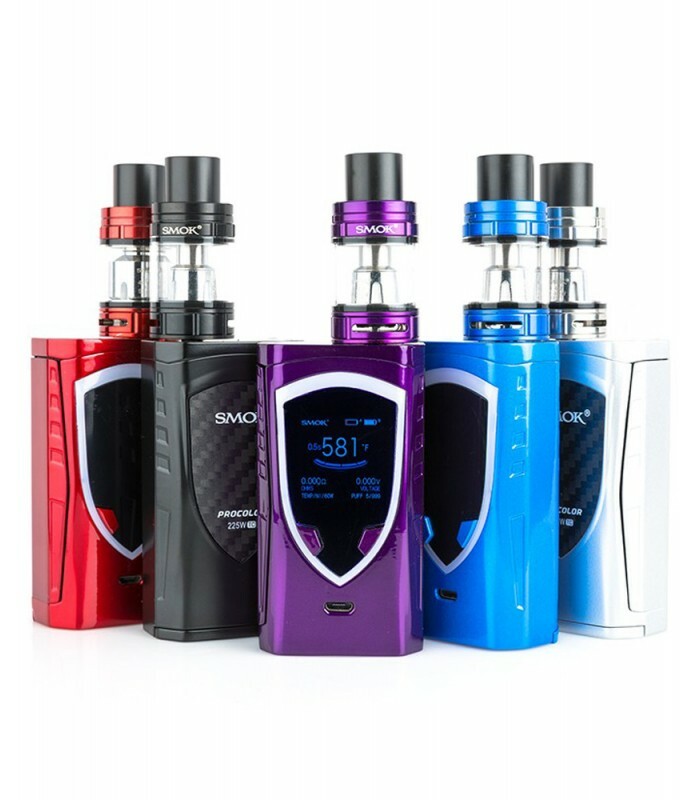 12 colorful LED backlights and a 6-color screen setting bring you much more enjoyment during your puff. 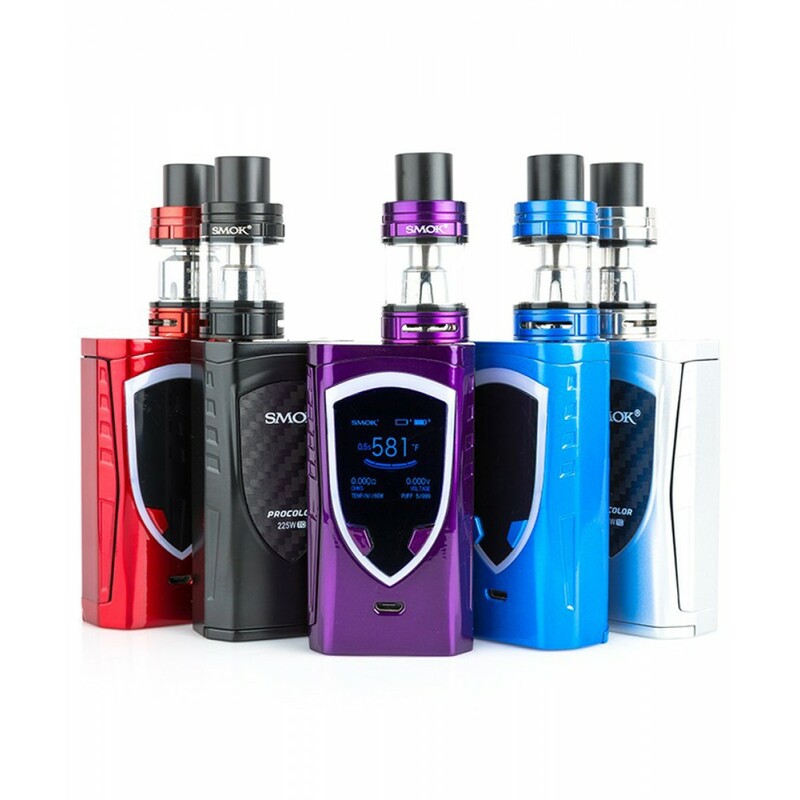 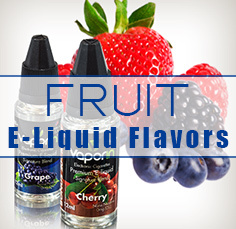 When combining with the TFV8 Big Baby, you could have double amazing vaping experiences!